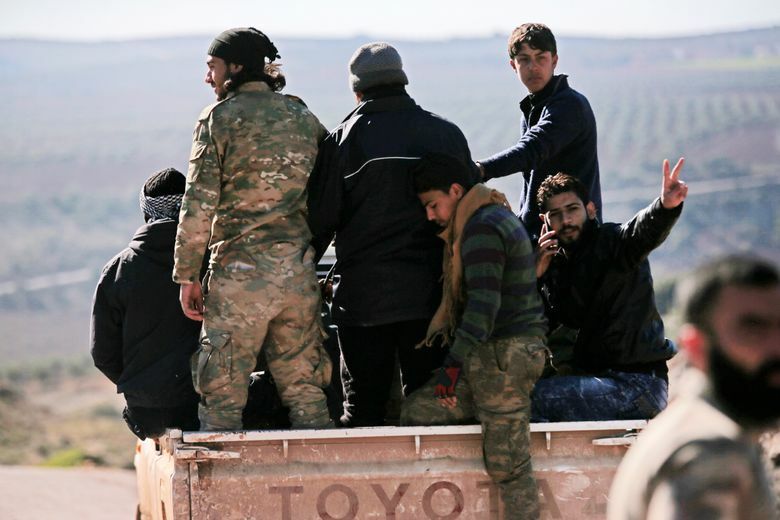 MOSCOW (AP) — A Russia-hosted Syrian peace conference ended Tuesday with a plan to draft a new constitution as part of efforts to end the nearly seven-year civil war, but key opposition and rebel groups boycotted the gathering and it remained unclear if they would join the process. 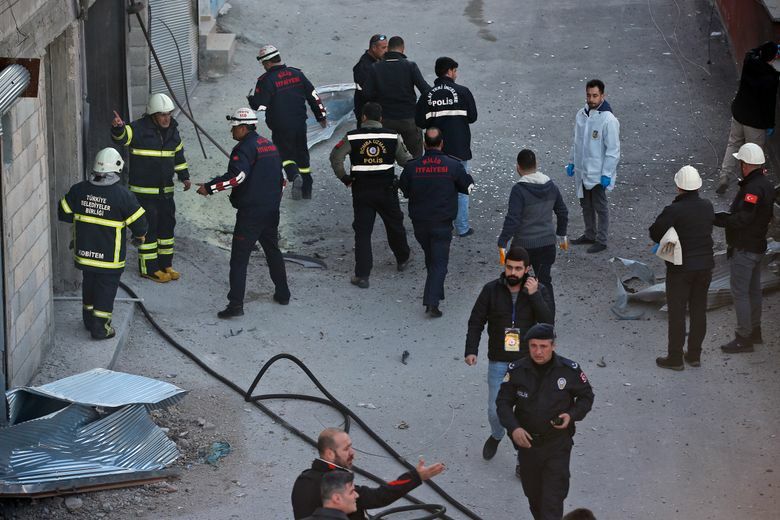 The conference, held in the Black Sea resort of Sochi, was also overshadowed by renewed fighting in northern Syria. 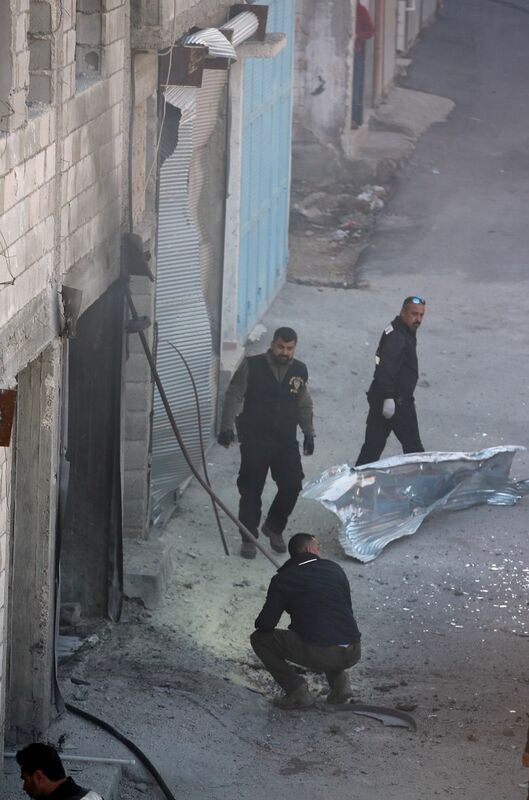 Opposition activists reported more airstrikes on the rebel-held Idlib province, where dozens have been killed in government air raids this week, and Turkish troops continued their offensive on the Afrin enclave, held by a U.S.-allied Kurdish militia which also boycotted the Russian-sponsored talks. Russian Foreign Minister Sergey Lavrov nevertheless hailed the Syrian Congress of National Dialogue as an important step toward peace in Syria and sought to play down the opposition boycott. Lavrov said the conference participants agreed to form a constitutional committee that will be based in Geneva. He said that the delegates proposed some of the committee’s members and that groups absent from the Sochi talks will be invited to name representatives. A statement approved by the delegates said a final agreement on criteria for selecting members, the constitutional committee’s powers and its rules of procedure would be reached in Geneva under the United Nation’s aegis. De Mistura told reporters at U.N. headquarters in New York late Tuesday by audio link from Sochi that he believes talks on a new constitution could achieve results because countries with influence on the government and opposition appear determined to insist that both sides engage. Alexander Lavrentyev, Russian President Vladimir Putin’s envoy for Syria, said 1,393 delegates attended the congress. He said the Sochi organizers were aiming to help revive the U.N.-backed talks in Geneva, not to sidetrack them. 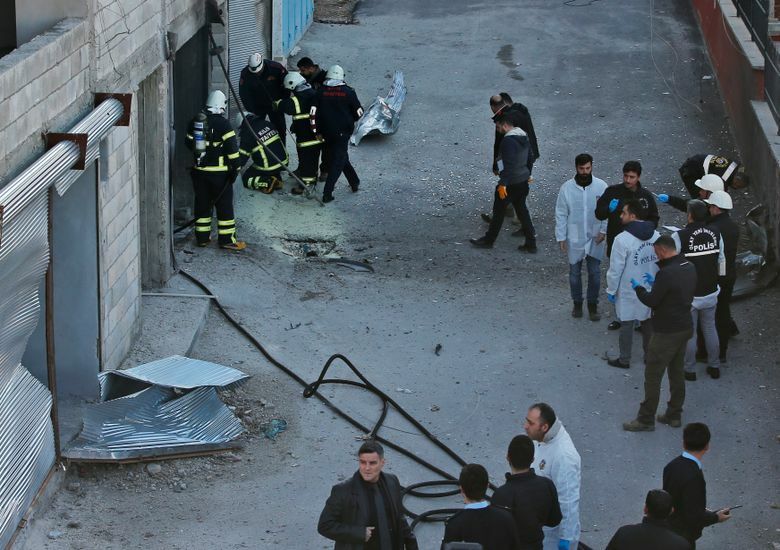 The Geneva negotiations have made little progress since they began four years ago. The opposition’s demand that President Bashar Assad play no role in a future political transition has been the main sticking point. The Sochi talks, by contrast, were not intended to address Assad’s fate, but to instead discuss constitutional reforms and future elections. De Mistura said he is counting on Syrian government allies Russia and Iran and opposition supporter Turkey to use their influence to implement the agreement they supported in Sochi, along with the U.N. and other influential countries. De Mistura said he will come up with the criteria for participants and choose a maximum of 45-50 members for the committee. Russia, Iran and Turkey have each submitted 50 names already, but he said there will definitely be “very substantial participation” from the opposition that skipped Sochi along with government, other opposition and independent representatives. He refused to give a timeline. Sharp disagreements among those attending the Sochi conference were apparent as it opened, with some interrupting Lavrov’s welcome address by chanting pro- and anti-Russian slogans. “You are killing our people,” an opposition supporter chanted before he was approached by security. The main opposition umbrella group, a Saudi-backed coalition known as the Higher Negotiations Committee, has been representing the opposition in Geneva. It did not attend the Sochi meeting. De Mistura said the Sochi agreement supports “full implementation” of the U.N. Security Council resolution that endorsed the road map adopted by major powers in Geneva in 2012 calling for the creation of a transitional Syrian government with full executive powers that would pave the way for a new constitution and elections. Separate talks held in Kazakhstan, another Russian-backed negotiating track, have focused on reaching local cease-fires. 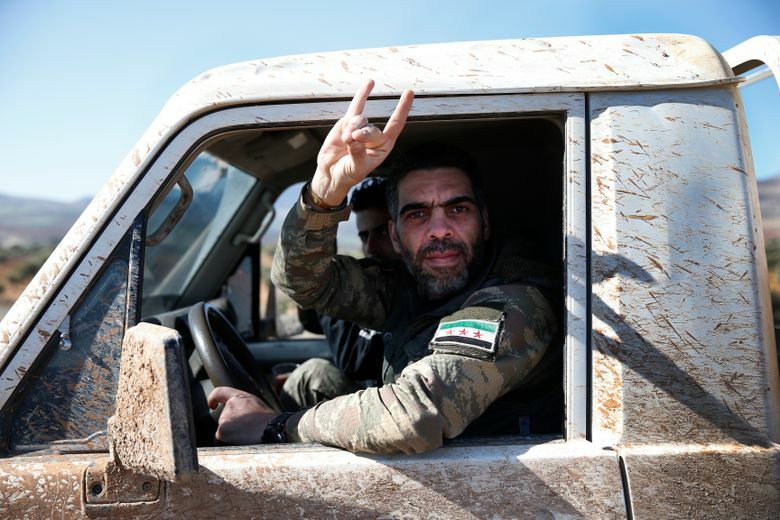 The Syrian civil war is far from over, despite major gains by Assad’s forces and the expulsion of the Islamic State group from virtually all the territory it once held. 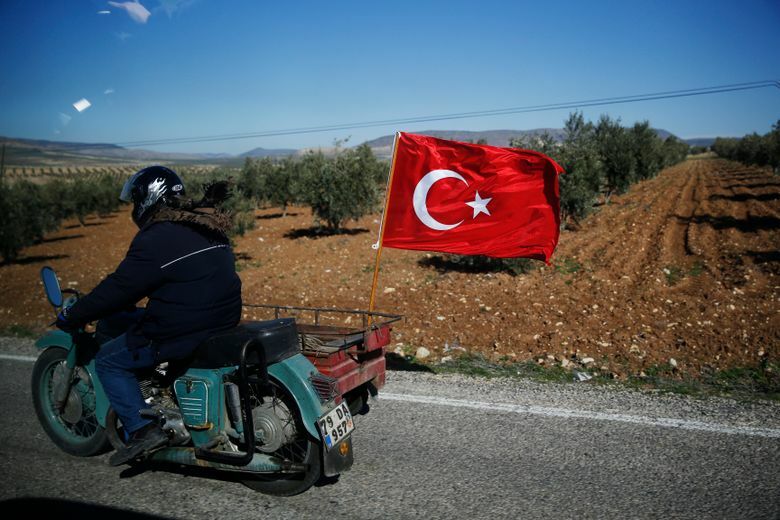 Turkish troops and allied Syrian forces are fighting their way into the Afrin enclave, held by a Syrian Kurdish militia known as the People’s Defense Units, or YPG. Turkey views the YPG as an ally of the Kurdish separatists who have waged a decades-long insurgency against it. The U.S.-led coalition partnered with the YPG against the Islamic State group, and today the militia and allied forces control some 25 percent of Syria’s territory. Washington has called on its NATO ally Turkey to show restraint and has urged all sides to remain focused on defeating IS. The YPG declined to attend the Sochi conference, saying it holds Russia responsible for the Turkish offensive. 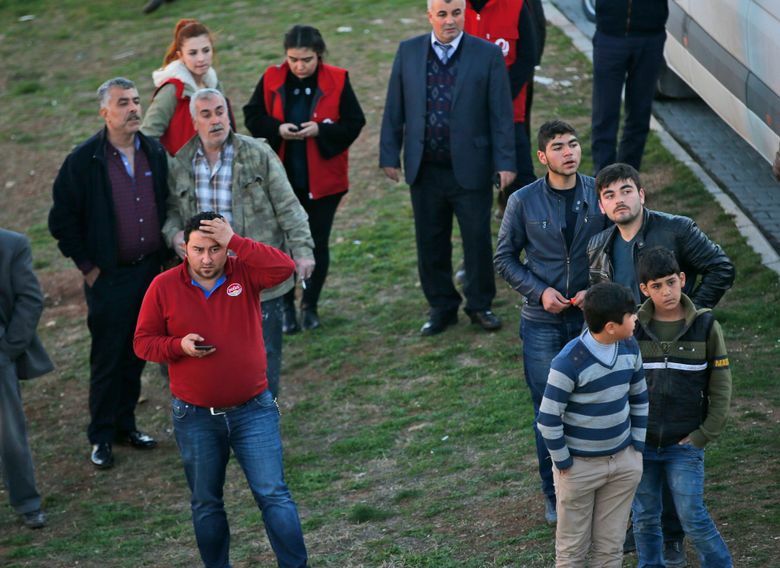 Associated Press journalists in the Turkish border province of Kilis could hear Turkish artillery fire pounding a hill across the border on Tuesday. 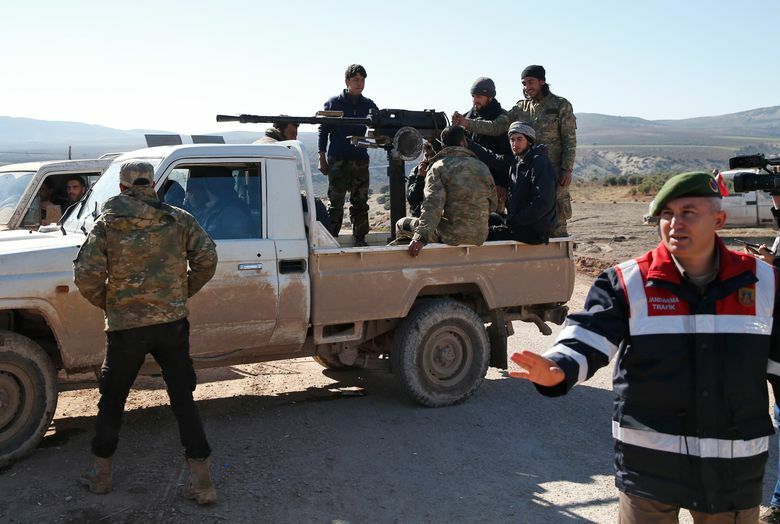 They saw around 20 Turkey-backed Syrian fighters preparing to cross in four pickups mounted with machine guns. 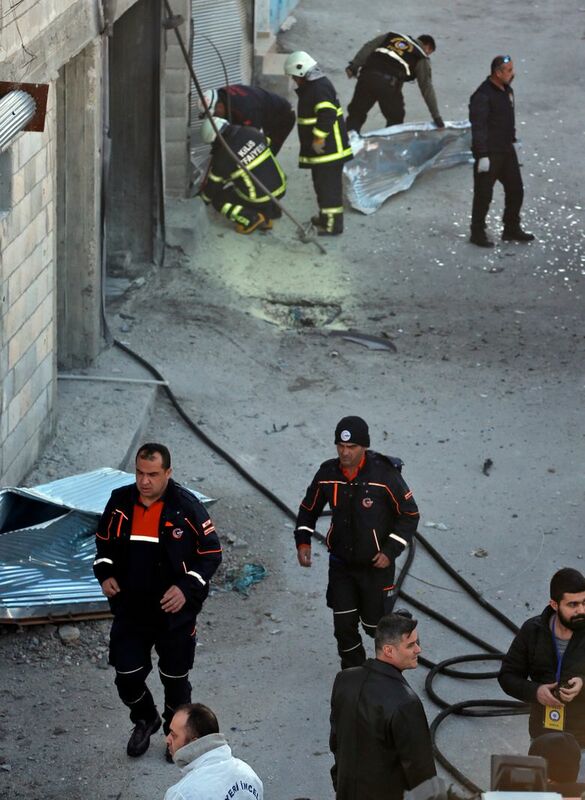 A rocket fired from northern Syria struck a building in Kilis on Tuesday, without hurting anyone. 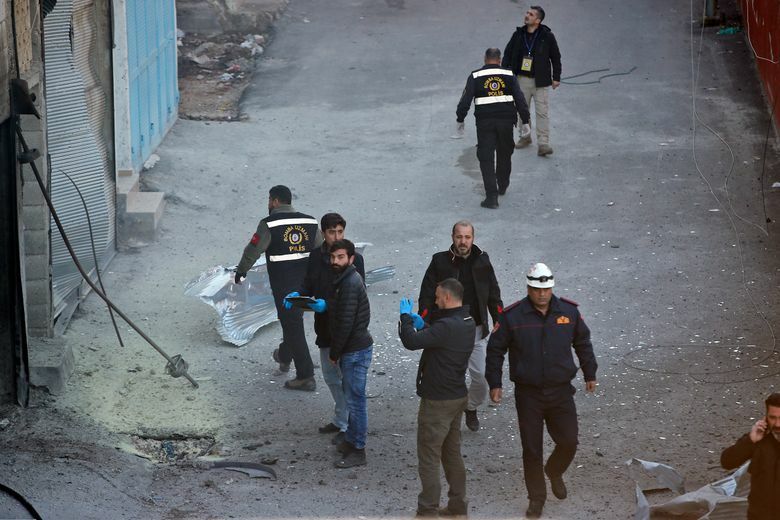 Elsewhere, a civilian attached to a Turkish deployment in northwest Syria was killed in a car bomb blast targeting a military convoy, the Turkish military said. 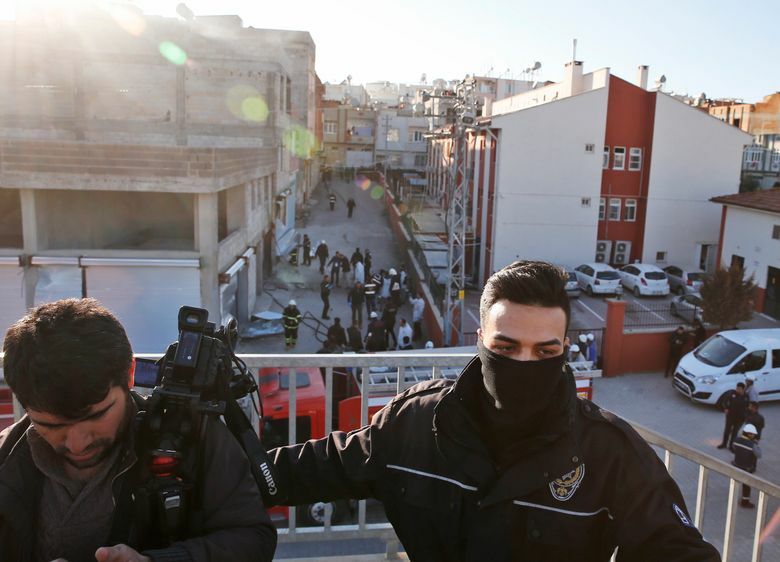 The convoy was part of Turkey’s ‘de-escalation’ force deployed inside a rebel stronghold to enforce an agreement with Russia and Iran to stabilize the lines of conflict in the war-torn country. 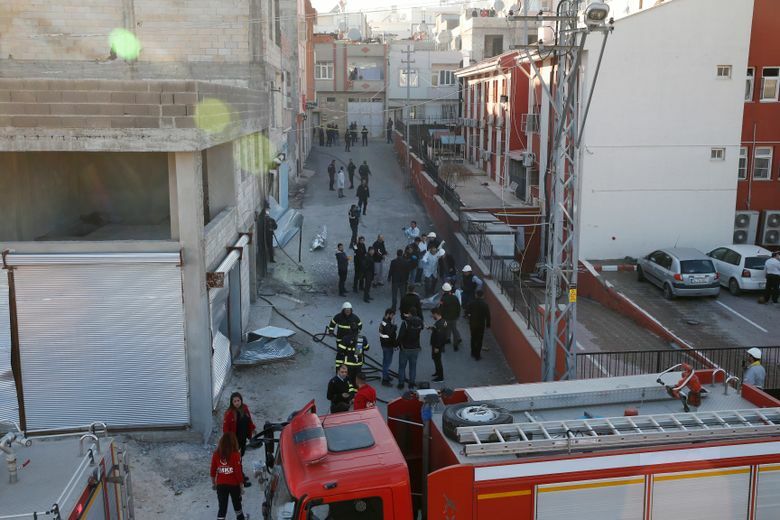 Turkish authorities meanwhile detained eight senior members of a medical association who had spoken out against the offensive, state-run media reported. Rasit Tukel, the chief of the Turkish Medical Association, and seven other members were detained in police operations in Ankara and other cities for breach of Turkey’s anti-terror laws, the Anadolu Agency reported. It said prosecutors had issued warrants for 11 other members. 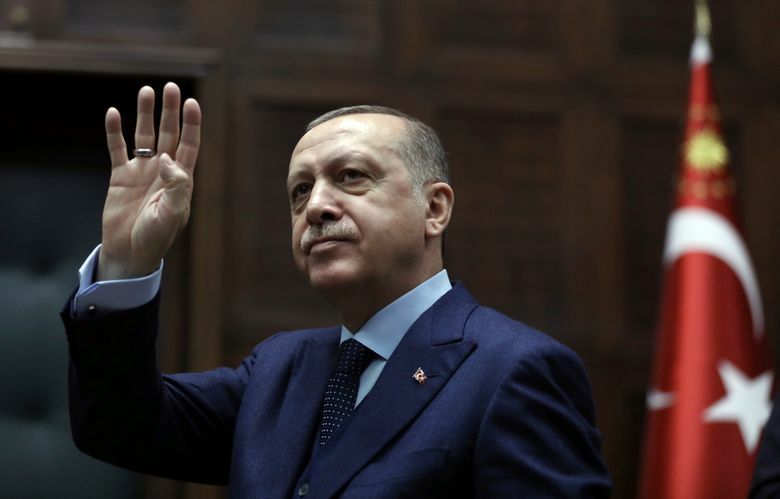 Turkish President Recep Tayyip Erdogan has accused the association of betrayal and its members of being “terrorist lovers” after the group warned of the humanitarian costs of the offensive, which was launched on Jan. 20. 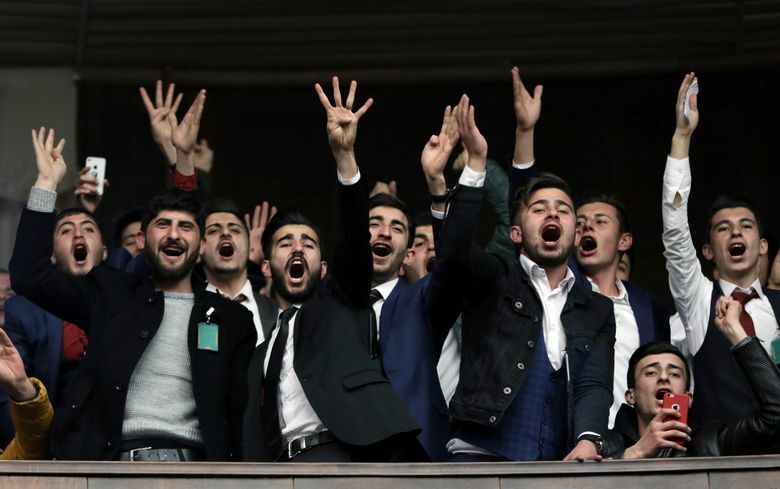 As many as 311 people have been detained in the past week in Turkey for allegedly engaging in “terrorist propaganda” through social media postings critical of the operation. 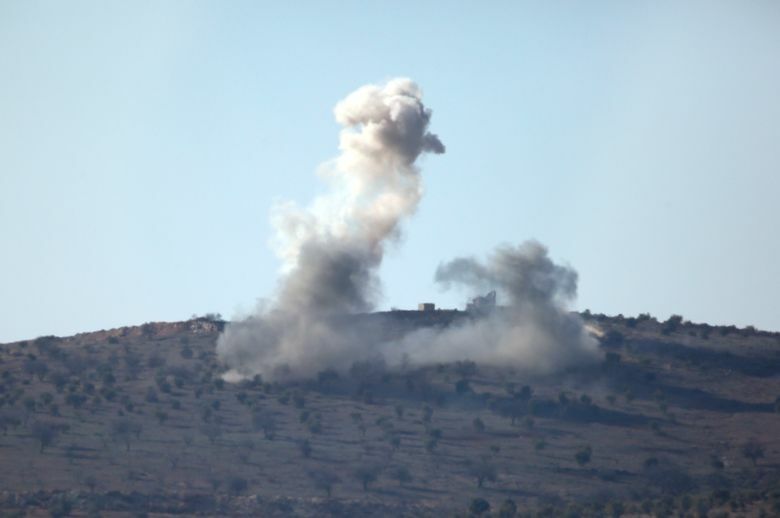 The Syrian Observatory for Human Rights says the operation has so far claimed the lives of 61 civilians in Afrin, three in Turkish towns along the border and five Turkish soldiers. 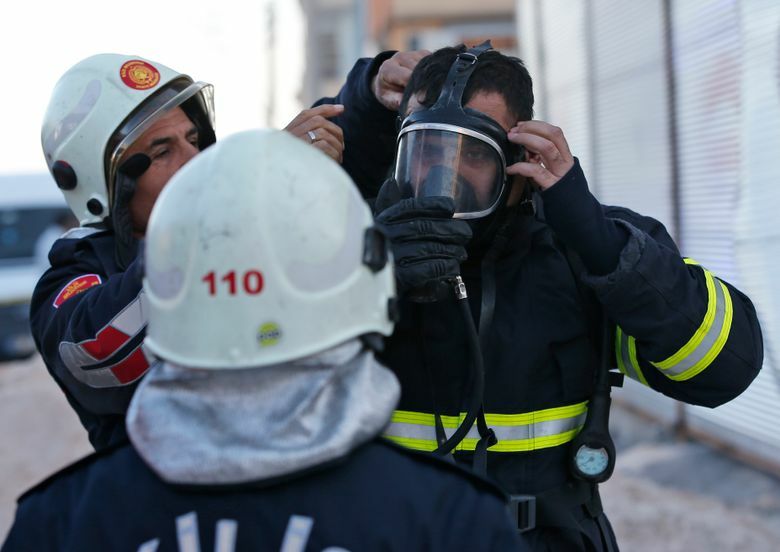 Associated Press writers Edith M. Lederer at the United Nations, Suzan Fraser in Ankara, Turkey, Bassem Mroue and Philip Issa in Beirut, and Jamey Keaten in Geneva contributed to this report.